Ever wondered how to get protein as a vegan? 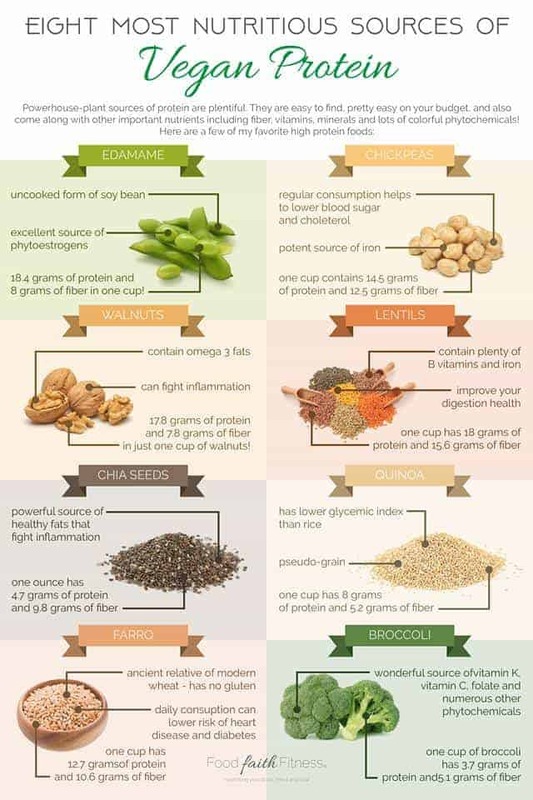 I am sharing information about plant based protein, as well as the best plant protein sources for your diet! If you’re a human who lives on this Earth, and especially if you have any kind of social media, you will know that plant-based eating is becoming increasingly popular these days. Whether it’s for your health, the health of the environment or just the health of your budget, there are many reasons why folks are shifting towards a plant-forward way of eating. <– Just to be straight up with you, I am NOT. But, I know MANY of you are, or are interested in trying this style of eating out! However, the first question that comes to mind for many people considering the vegan diet is how to get protein as a vegan? What is the best protein for vegans? How do vegans get protein? GOOD NEWS! Powerhouse-plant sources of protein are plentiful. Not only are they EASY to find, and typically pretty easy on yo’ budget, but plant proteins also come along with other important nutrients including fiber, vitamins, minerals and lots of C-O-L-O-R-F-U-L phytochemicals. Even more good news is that recent research shows that combing certain sources of plant foods to form a complete protein isn’t actually super necessary. However, this doesn’t mean that your body is not able to absorb those nutrients! For example, common wisdom dictates that it’s necessary to combine beans with rice because of their complementary amino acid profiles. We’re now learning that if you’re eating a wide variety of foods, combining foods at a certain meal is less important! <–Helllooooo saving your brain power! We all need one less thing to think about am I right? Your body will take what it needs from the beans, hold on to it, and then a few days later will take what it needs from the rice. There’s no need to worry about combining these and other foods at meals. Aren’t our bodies crazy amazing? There’s a delicious variety of plant-based proteins that you can find at almost any grocery store too! The most concentrated sources of plant proteins include legumes, nuts and seeds. But you can also find protein in whole grains and even vegetables and fruits! The best part about these sources of protein is that they all come with lots of fiber – one of the main nutrients that most Americans aren’t getting enough of. Fiber helps keep you fuller longer so you don’t fall victim to a mid-afternoon snack attack! What do vegans eat for protein? Edamame: this is the uncooked form of soybean, it’s also an excellent source of phytoestrogens that can help protect against breast cancer. Edamame is delicious steamed with a little bit of salt (I eat it like this A LOT), like you’d find at a Japanese restaurant, but also goes wonderfully in a stir fry or on top of a salad. 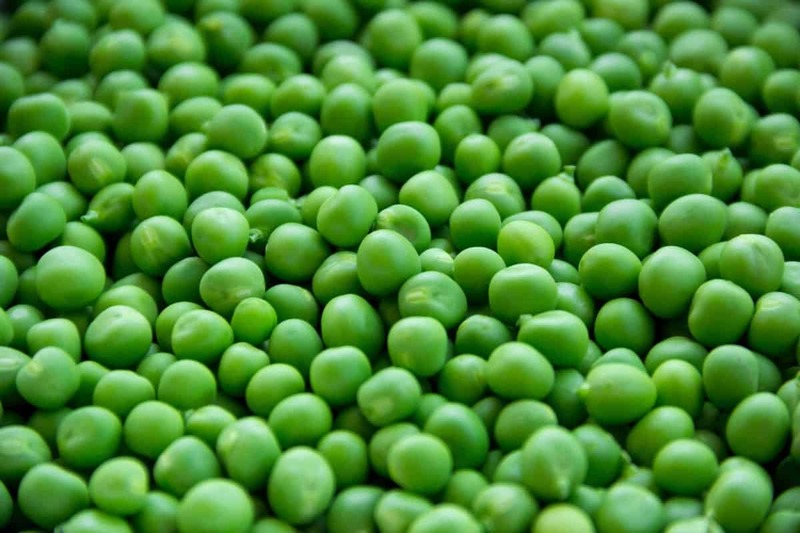 One cup of edamame has 18.4 grams of protein and 8 grams of fiber. I’ve also recently discovered pasta made from edamame and it’s SO good. I eat it a few times a week! Chickpeas: these beans (also called garbanzo beans) are commonly found in Mediterranean dishes and are the main ingredient in hummus. Chickpeas not only contain protein but are a potent source of iron. Eating them regularly will help to lower blood sugar and cholesterol! One cup of chickpeas has 14.5 grams of protein and 12.5 grams of fiber. Lentils: lentils share the same family as chickpeas and beans in general. As part of the legume family, they are a wonderful source of fiber that lowers blood sugar and cholesterol and can improve digestive health! Lentils also contain plenty of B vitamins and iron. Lentils taste YUM in soup, curries or made into lentil sloppy joes! One cup of lentils has 18 grams of protein and 15.6 grams of fiber. Walnuts: walnuts are one of the healthiest nuts because they contain omega 3 fats. These are the good fats which help to fight inflammation <3. Walnuts are a great addition to oatmeal and could also be added to a stir fry or made into burgers (like these veggie burgers) if you’re feeling creative. One cup of walnuts has 17.8 grams of protein and 7.8 grams of fiber. Chia seeds: these are another powerful source of healthy fats that fight inflammation. These tiny seeds are packed with protein and omega 3s. When added to liquid, they soak up fluid and transform into a gummy, pudding-like consistency. Try adding them to a smoothie or making chia seed pudding. One ounce of chia seeds has 4.7 grams of protein and 9.8 grams of fiber. Quinoa: quinoa is used in cooking (and many of my recipes!) just like any other whole grain, but it is technically the seed of a plant related to spinach and amaranth. This pseudo-grain contains powerful phytochemicals that help your body to heal and fight inflammation. You can use quinoa as a substitute for rice; it has a lower glycemic index which means that it’s easier on your blood sugar levels. Quinoa tastes great with stir fried vegetables or as part of a grain salad. One cup has 8 grams of protein and 5.2 grams of fiber. Farro: farro is an ancient relative of modern day wheat, so it does contain gluten. Though it’s a less popular whole grain, it’s full of nutrients like iron and magnesium and surprisingly high in protein. Eating just 2-3 servings of whole grains like farro each day can lower your risk of heart disease and diabetes. Farro makes a great porridge just like oatmeal in the morning. Try it with some light coconut milk, berries and a dab of maple syrup. One cup of farro has 12.7 grams of protein and 10.6 grams of fiber. Broccoli: who would have thought that broccoli contains protein right? In addition to its protein content, broccoli is in a family of vegetables called crucifers which are very powerful for fighting cancer and helping the body get rid of toxins. Broccoli is a wonderful source of vitamin K, vitamin C, folate as well as numerous other phytochemicals. To get the most out of the vegetable, steam it lightly and avoid boiling or frying it. One cup of broccoli has 3.7 grams of protein and 5.1 grams of fiber. I hope you learned a thing or two about how to get protein as a vegan! Even if, like me, you’re not going plant-based but still want to try to eat more plants, I hope that this was helpful! Disclaimer: I am not a medical professional, and this article is based off of research I found online, as well as my eating these foods in my diet. After medication on improving blood circulation to my brain, I start eating walnuts in the morning! What a great experience! Also, I did start eating spicy chickpeas for blood circulation. It helped me a lot, and I like it! That is so awesome to hear!! Thanks you for help me know the way to get a protein as a vegan. I think it really good news for vegetarian.